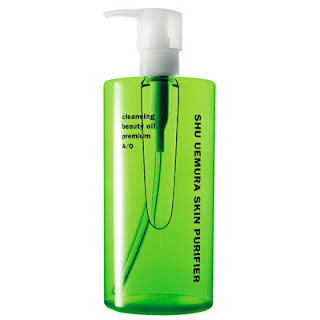 Shu Uemura cleansing oils. This product is the only one that keeps my skin fresh and hydrated after washing. After hours of make-up application and re-application, your skin is caked and dry. I like to cleanse with oil because it strips off the bad stuff and leaves the natural oils in my skin intact. This is all you need if you wear heavy studio make-up or theater make-up everyday.